Television has always been a cultural touchstone for me growing up. I remember the rush home to catch the season finales of Lost and 24 so I wouldn’t miss out on the conversation the next day. When my wife was in college I bought her a DVD recorder that we would set on a timer to record shows on to a blank DVD. When TIVO and recording came around it was a Godsend. This is how television has always been to me. The collective pop culture experience that would take the next day at work discussing everything we all watched together. I understand this way of consuming media has been dying for years but it struck me a few days ago that April and May are the true end of an era, specifically with Game of Thrones. 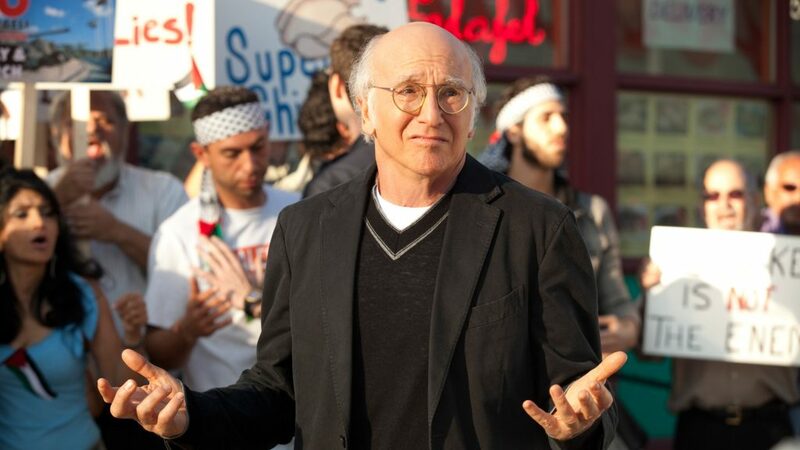 This entry was posted on Tuesday, April 9th, 2019 at 12:11 pm	and is filed under News, Television. You can follow any responses to this entry through the RSS 2.0 feed. You can skip to the end and leave a response. Pinging is currently not allowed. 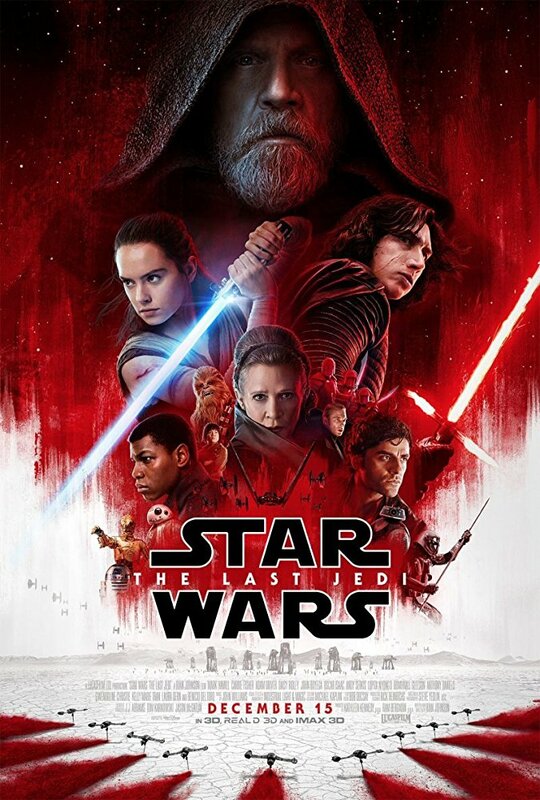 This entry was posted on Tuesday, September 4th, 2018 at 12:19 pm	and is filed under Film, News, Television. You can follow any responses to this entry through the RSS 2.0 feed. You can skip to the end and leave a response. Pinging is currently not allowed. This entry was posted on Thursday, August 2nd, 2018 at 3:55 pm	and is filed under Film, News, Television. You can follow any responses to this entry through the RSS 2.0 feed. You can skip to the end and leave a response. Pinging is currently not allowed. This entry was posted on Tuesday, January 30th, 2018 at 5:31 pm	and is filed under News, Television. You can follow any responses to this entry through the RSS 2.0 feed. You can skip to the end and leave a response. Pinging is currently not allowed. ‘Ash vs Evil Dead’ Season 3 Trailer is Groovy! ‘Ash vs Evil Dead’ Season 3 is returning to Starz on February 25th with 10 new episodes in what looks like the best season yet of the bloody-as-hell, hilarious, and best show in the entire world. 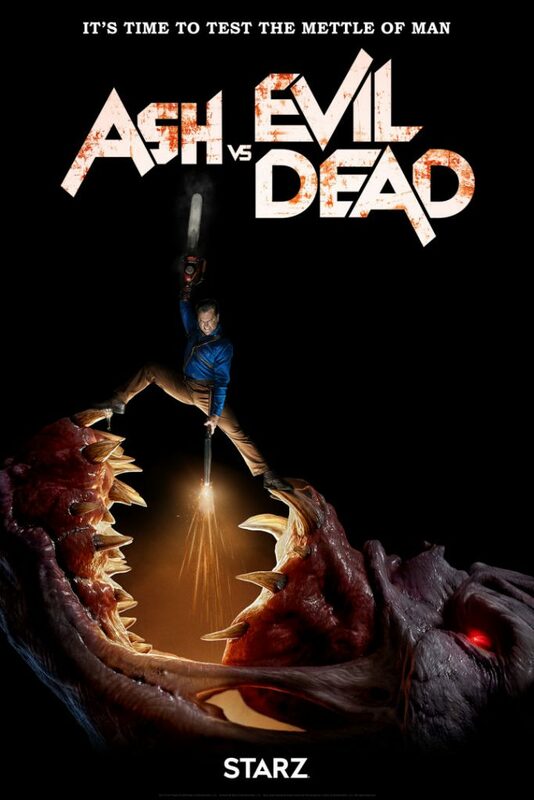 I never thought I needed to hear Bruce Campbell say that he used his chainsaw hand to kill demons and monsters, but now he uses it to slash prices at his new job. I nearly died. This entry was posted on Thursday, January 18th, 2018 at 3:16 pm	and is filed under News, Television. You can follow any responses to this entry through the RSS 2.0 feed. You can skip to the end and leave a response. Pinging is currently not allowed. 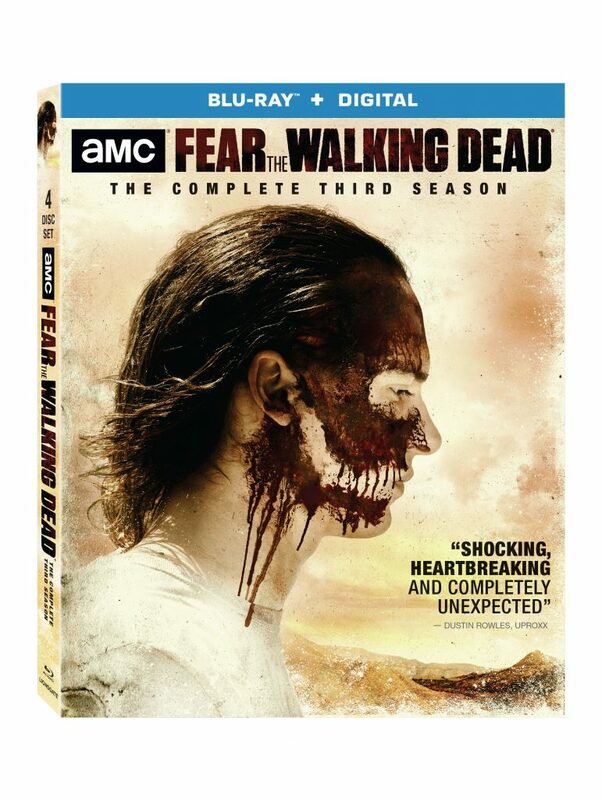 Fans of ‘Fear The Walking Dead‘ you just have a few more weeks to wait before you can bring home ‘Fear The Walking Dead‘ Season 3 on Blu-ray and DVD, with Digital HD. March 13 is the day you need to circle on your calendar because Lionsgate and AMC delivers the television drama for home viewing. This entry was posted on Tuesday, January 16th, 2018 at 4:31 pm	and is filed under Comics, News, Television. You can follow any responses to this entry through the RSS 2.0 feed. You can skip to the end and leave a response. Pinging is currently not allowed. 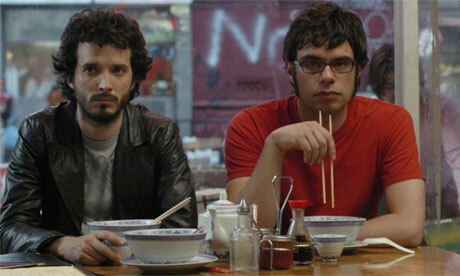 ‘Flight of the Conchords’ are coming back to HBO! In the daytime of the night, Bret McKenzie and Jemaine Clement, who make up the duo that is the hilarious ‘Flight of the Conchords‘ are coming back to HBO for a one-hour special of music and comedy later this year. The comedic pair will perform new and old songs on their upcoming comedy tour, which will be filmed in front of a sold out audience in the UK. This is just excellent news and I hope the two will have future specials and even a new show after the success of this upcoming one. I wonder if there will be a new Bowie song or a sequel to ‘Business Time’. I hope so. This entry was posted on Thursday, January 11th, 2018 at 5:20 pm	and is filed under News, Television. You can follow any responses to this entry through the RSS 2.0 feed. You can skip to the end and leave a response. Pinging is currently not allowed. 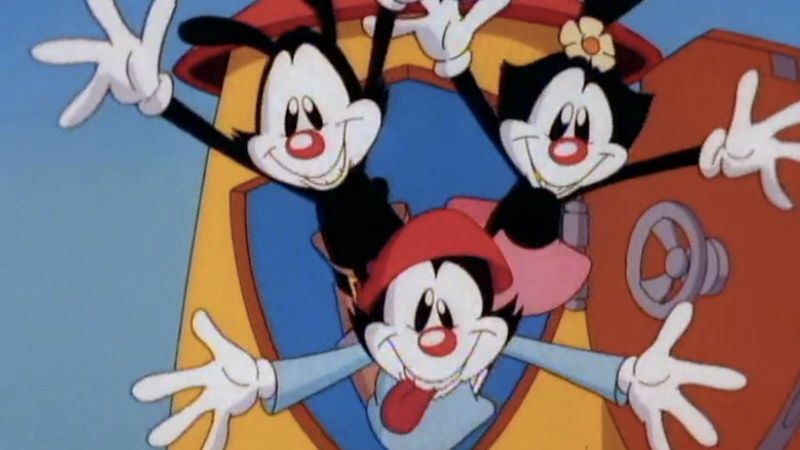 ‘Animaniacs’ Reboot Comes to Hulu with Two Season Order! That’s right. The hit TV show ‘Animaniacs‘ is getting the reboot treatment and will air exclusively over at Hulu. 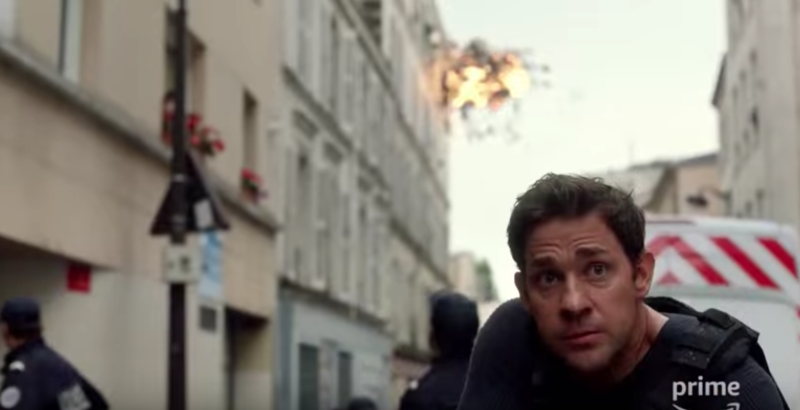 The streaming giant is so confident in its return, it has already booked a two season order for new episodes, which will premiere sometime in 2020. It’s hard to believe it’s been 20 years since we last saw a fresh, new episode of ‘Animaniacs‘, but it’s true – that was the last time we saw one. The original run lasted from 1993-1998 and featured Wakko, Wakko, and Dot on their adventures, which also taught young kids a thing or two. This entry was posted on Thursday, January 4th, 2018 at 4:30 pm	and is filed under News, Television. You can follow any responses to this entry through the RSS 2.0 feed. You can skip to the end and leave a response. Pinging is currently not allowed. ‘Here and Now’ is coming to HBO in February from ‘Six Feet Under’ and ‘True Blood’ Creator! Alan Ball has a new show coming out on HBO, meaning we should all pay attention to this. The new show is called ‘Here and Now‘ and stars Holly Hunter and Tim Robbins. If you don’t remember who Alan Ball is, he wrote a great film called ‘American Beauty‘, which won a ton of awards. He then went on to create ‘Six Feet Under‘ and ‘True Blood‘ for HBO. We’ve all been waiting patiently since then for him to come back to work on a new HBO series. This entry was posted on Tuesday, December 19th, 2017 at 5:01 pm	and is filed under News, Television. You can follow any responses to this entry through the RSS 2.0 feed. You can skip to the end and leave a response. Pinging is currently not allowed. This entry was posted on Thursday, December 14th, 2017 at 1:31 pm	and is filed under News, Television. You can follow any responses to this entry through the RSS 2.0 feed. You can skip to the end and leave a response. Pinging is currently not allowed. 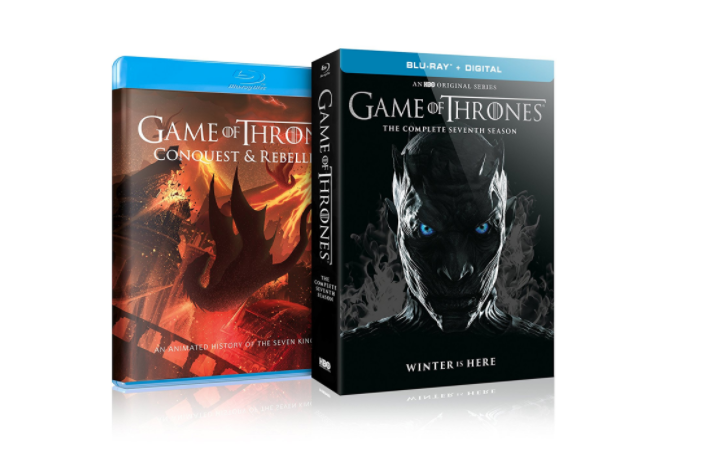 Blu-ray Review: ‘Game of Thrones’ Season 7! ‘Game of Thrones’ Season 7 is the best season yet of one of the best television series ever made. In this season, all that we have been waiting for is coming to fruition, since this is basically the 1st part of the last season of the show on HBO. All of the big battles are coming together, characters are finally in the same room now, and those dragons are finally able to do what they were meant to do. It’s so much fun to watch. This entry was posted on Wednesday, December 13th, 2017 at 5:45 pm	and is filed under News, Television. You can follow any responses to this entry through the RSS 2.0 feed. You can skip to the end and leave a response. Pinging is currently not allowed. 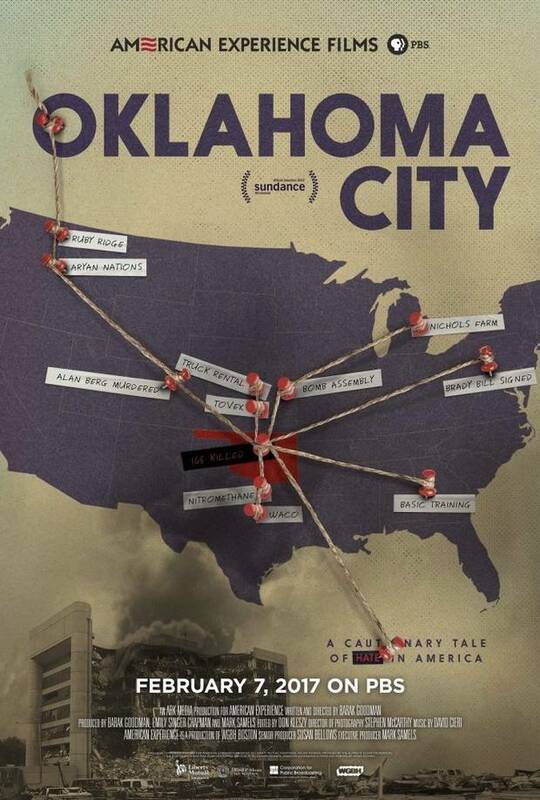 ‘Oklahoma City‘ is a documentary about the tragic bombing of the Alfred P. Murrah Federal Building in Oklahoma City in 1995. It comes from writer/director Barak Goodman (‘American Experience‘, ‘Frontline‘) and was nominated for an Emmy along with the other producers on the project, Emily Singer Chapman, Mark Samels (a previous winner of several Emmy’s and three times as many nominations), and Susan Bellows (also an Emmy winner and multiple time nominee). PBS aired the doc at the earlier part of 2017 but it made the festival circuits this summer and was an Official Selection for the 2017 Sundance Film Festival where it met positive reviews. This entry was posted on Thursday, December 7th, 2017 at 4:08 pm	and is filed under Film, News, Television. You can follow any responses to this entry through the RSS 2.0 feed. You can skip to the end and leave a response. Pinging is currently not allowed. This entry was posted on Thursday, November 9th, 2017 at 6:18 pm	and is filed under Film, News, Television. You can follow any responses to this entry through the RSS 2.0 feed. You can skip to the end and leave a response. Pinging is currently not allowed. This entry was posted on Wednesday, October 11th, 2017 at 1:56 pm	and is filed under News, Television. You can follow any responses to this entry through the RSS 2.0 feed. You can skip to the end and leave a response. Pinging is currently not allowed. If you’re a Neil Gaiman fan, you’ve been watching the progress of the ‘Good Omens‘ adaptation, from Amazon and BBC2,with unbridled excitement as he’s been posting updates on his Twitter feed . For those of you unaware, ‘Good Omens‘, which is technically titled ‘Good Omens: The Nice and Accurate Prophecies of Agnes Nutter, Witch‘, and it’s co-written by Gaiman and the late Terry Pratchett. These are not two lightweight authors that had to team up to get a book published, but rather, two literary giants that chose to bless us with their combined greatness. 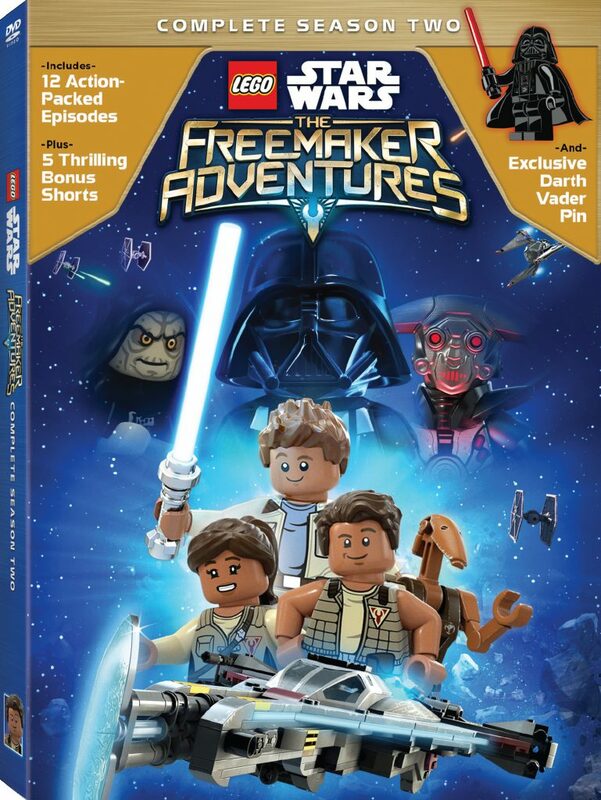 This entry was posted on Wednesday, October 4th, 2017 at 4:46 pm	and is filed under Books, Comics, News, Television. You can follow any responses to this entry through the RSS 2.0 feed. You can skip to the end and leave a response. Pinging is currently not allowed. « Bob’s Burgers Movie is Coming in 2020!